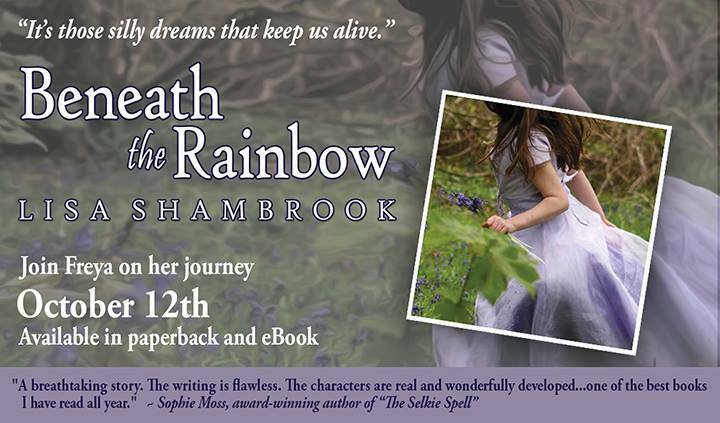 On October 12, Lisa Shambrook will re-release her novel Beneath the Rainbow. She has a new cover, a new designing team, new online support group, and new works in progress! 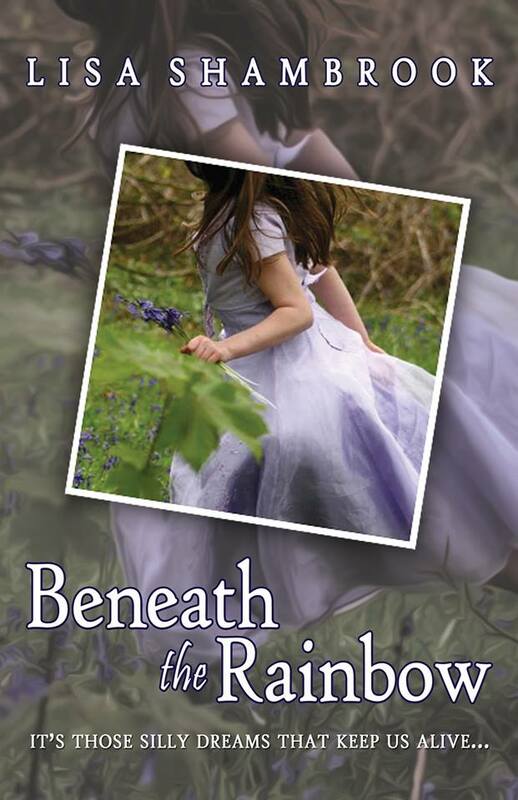 And she’s giving away a free paperback copy of Beneath the Rainbow. Enter by following this link. I interviewed Lisa Shambrook today, and the answers I received got me excited for her future work. -What inspired Beneath the Rainbow? It came right out of the blue! The first line hit me as I was walking through the park “Freya was seven-years-old when she got hit by the car, it was a 4×4 with a bull bar.” The line shocked me, and I had no idea how to write a book that began with the death of a child! At home I crafted the first chapter, and was completely drawn into the grief her family was suffering, and I imagined how it would appear to a child on the other side of Heaven. -Is any part of it based off of real-life experiences or people? Thankfully I’ve not suffered like Freya’s family, though we do have family experience of both cancer and unfulfilled dreams, which are strong themes within the book. -Can you describe the process of writing your book? It was cathartic. 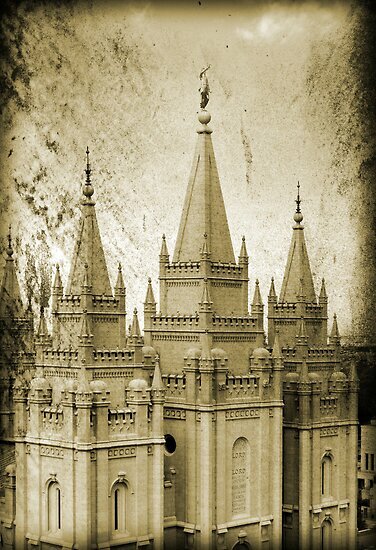 It’s a difficult subject, but one that leaped into my head and heart, and refused to let go. This book flowed and told me what to write…the only time I’ve ever pantsed a book as I’m a planner at heart! -Is this the first book you’ve ever written? What’s your previous experience with writing? I realised I could write books almost fourteen years ago and began with a children’s fantasy adventure trilogy. These books need rewriting and severe editing, but I still love them. I also have a half written dragon epic, and a sequel to ‘Beneath the Rainbow’. -What challenges did you encounter when first writing and publishing the book? How have the challenges changed with the re-release? At first, I truly had no idea what I was doing! I wrote ‘Beneath the Rainbow’ with no thought for genre, or age, or marketing. I put it on Kindle then joined Twitter hoping to sell it…thankfully I didn’t pimp it, instead I discovered how social media worked and found a wonderful writing community. Now the book has been revised, reformatted, redesigned and rereleased. I finally have online support, confidence in my writing and a better understanding of the business! -What plans do you have for future writing? ‘Beneath the Old Oak’ is going through its first edit, hoping to release it at the end of next Summer. This November I’m planning the third book in the series tentatively titled ‘Beneath the Stormy Sky’. -What advice would you give anyone who is considering writing a book? Flash Fiction! Flash writing has honed every writing skill I have and has made me a much better writer! Give it a go, short and sweet, and fun. Regarding the book itself, edit well…and lots, and lots! Get as much professional help as you can afford, and find a supportive writing community…they are priceless! -What’s your writing environment like? I write on my laptop, on my lap, lol. I prefer silence, and often forget to drink or eat while I write! My favourite writing time is once I’ve done the school run, or late at night. -How do you balance writing with family? I generally write when the family are at school or work, I need the peace! -What support systems do you have for your writing endeavors? An online writing community…like I said, other writers know what you’re going through, take all advise that’s offered! Lastly, I could not do this without the support of my family. My husband encourages and respects my writing, and my children both read and critique my work, and I sometimes listen! Beneath the Rainbow is available on Amazon.com, and it’s not expensive at all. U.S. customers click here, and U.K. customers click here! 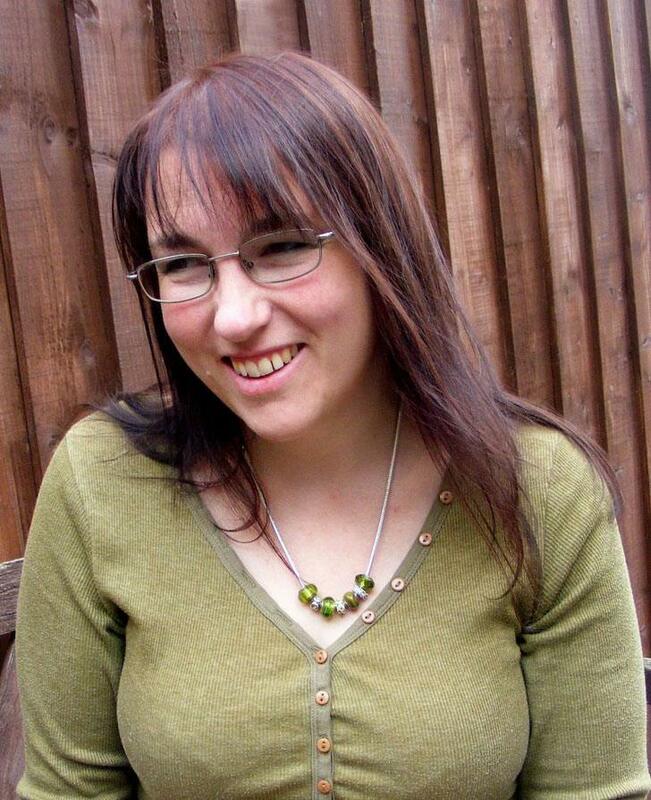 Born and raised in vibrant Brighton, England, Lisa’s lyrical writing is emotional and imaginative. She concentrates on description and colour, and hopes her readers will easily visualise the narrative. Her first book ‘Beneath the Rainbow’ is available on Amazon in paperback and ebook. A wife and mother, Lisa draws inspiration from family life, faith, memory and imagination. After having her first of three children, Lisa has lived in Carmarthen, West Wales, another town rich in legend and lore. To read another exciting interview about Lisa, visit LE Jamez’ blog. This entry was posted in Other Notable Authors and tagged beneath the rainbow, blue harvest creative, fiction, indie fiction, indie publishing, lisa shambrook, young adult on October 10, 2013 by Marissa Ames.